I'm always excited when discovering new artists and creatives of the past. There's a sense of reverence when their names are still in used in conversation because their craft and dedication have lived through decades of changing tastes and the deluge that overwhelms our senses in the age of consumer culture. I'm always in awe by the fact that to create a product one must not only create the piece to sell, but the packaging or presentation of that product, the manual for that product, the logo for that product, and perhaps the catalog that will have that item. Just like how an ant or bee colony cannot survive solely on the queen, so do companies. It takes the effort of countless designers, engineers, and marketers to be successful. Tomoko Miho is known to many within the world of graphic design, but not to the extent of icons such as Saul Bass and Paul Rand. 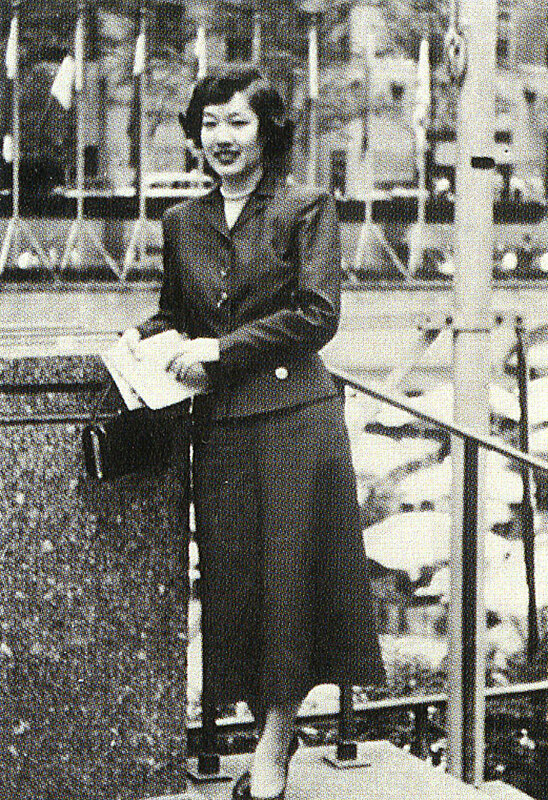 Tomoko was born on September 2, 1931 and spent her early years at an Arizona internment camp during World War II. Her high school trip to the Museum of Modern Art in New York City set in stone on her goal, graduating from the Minneapolis College of Art and Design and Art Center College of Design in Pasadena. She eventually worked for George Nelson, an American industrial designer known for being one of the founders of Modernism and created many of the iconic furnitures of the 20th century. Herman Miller catalog designed by Tomoko Miho. Tomoko attributes her design philosophy to an Asian garden philosophy called shakkei (借景). Shakkei translates to 'borrowed scenery,' which means incorporating the scenery into the garden. For people that follow this particular philosophy, the garden should not be confined like an animal caged up in a zoo. The intent is not to create a lesser representation of something beautiful that you have witnessed, but to somehow incorporate the original beauty into the garden. Ritsurin Garden in Takamatsu, Japan. An example of shokkei garden philosophy. Tomoko Miho carefully gardens every inch of graphic space. She often borrows spatial conventions from the three-dimensional world, making the two-dimensional plane appear larger, deeper, more inclusive. For her, the page is not an opaque screen, but a threshold. Her designs invite viewers to cross over into a multilayered world. To create a sense of spaciousness, she sometimes punctures hole through her design. A poster for Container Corporation of America, announcing the opening of the Great Ideas of Western Man exhibition at the New York Cultural Center, has a die-cut window with a diagonal flap revealing a section of a Herbert Bayer composition illustrating the Wittgenstein quote “The limits of my language mean the limits of my world.” For Tomoko, though, the limit of the graphic design language does not mean the limit of her imagination. Her influence has had a ripple effect in terms of how furniture has been presented in catalogs, and how messages are perceived through graphic design. From growing up in an internment camp to being a pioneer of design of the 20th century, Tomoko Miho has left a permanent footprint in the world of graphic design as students to iconic designers appreciate her craft and willingness to push the threshold of how we send a message through art.